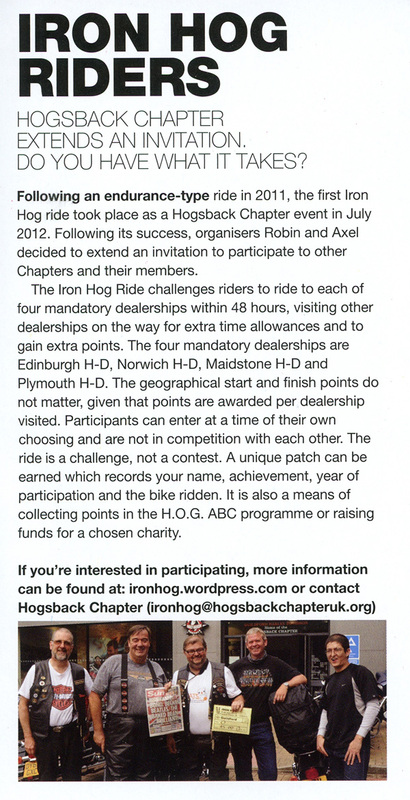 It is nice to be mentioned, and together with my friend Robin we were recognised in the first HOG magazine of 2013 for a new initiative and endurance ride – the Iron Hog. The photo shows the 5 riders of Hogsback Chapter starting their 1492 mile ride in July 2012. Malcolm, Robin, myself, Nigel and the youngest participant, Dennis. 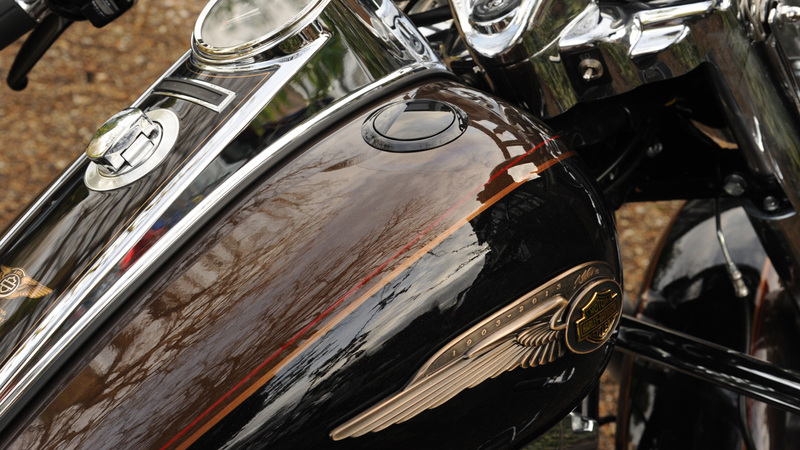 If you ride a Harley in the UK, like a challenge and enjoy the HOG ABC competition, a Iron Hog ride may be for you. Check out our dedicated website ironhog.wordpress.com. 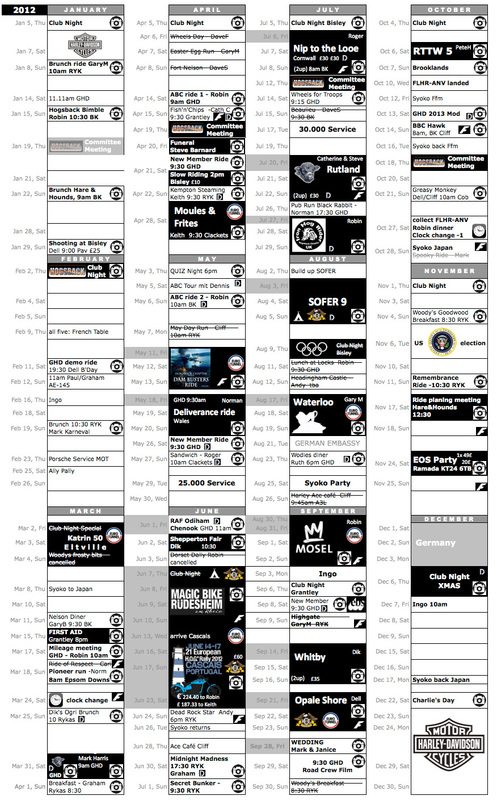 The new season arrive, the ride schedule is published, but before leaving the garage in anger, a short look back at 2012. This seems a lot, but my high mileage is also the result of me commuting on a Harley-Davidson. In 2013 there will be no more commuting, and the Sportster 883R has been sold last week. Tears in my eyes for the Sportster, but Phase 3 of my life started, and I have my last day in employment the same day as the pope. Now the new Road King 110th Anniversary is the master in the garage. Soon the first 1,000 mile service will be done, and its off to new adventures.